Enough catering to happy couples, it’s time to focus on the singles. 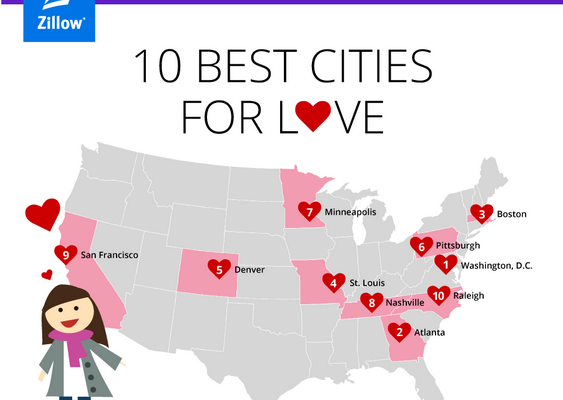 Zillow did just that last week by releasing data about the best places for singles to find love in 2015. Which cities have the highest rates of coupling up, according to Facebook?